- Once you posed an open question on the internet: "In a world that is in chaos politically, socially and environmentally, how can the human race sustain another 100 years?" It was ten years ago in 2006. Since then, have you found the answer? - For our long term survival, it is important that we are able to escape the boundaries of our fragile planet. There are many threats to our continued existence on Earth. From nuclear war, catastrophic global warming, and genetically engineered viruses, and the number is likely to increase in the future, with the development of new technologies, and new way things can go wrong. We need to spread out into space, and to other stars, so a disaster on Earth, would not mean the end of the human race. - Some researchers claim that a mysterious Planet X or Nibiru could pose a real threat to the Earth. What do you think? 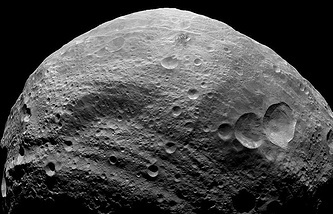 - The last collision with a major asteroid was 70 million years ago. There are more immediate dangers to our survival. - According to "My Brief History”, you visited the Soviet Union seven times. What has been the most memorable for you during those trips? - The first time was with a student party in which one member, a Baptist, distributed Russian language Bibles and asked us to smuggle them in. We managed this undetected but on our way out the authorities had discovered what we had done and detained us for a while. However to charge us with smuggling Bibles would have caused an international incident and unfavorable publicity so they let us go after a few hours. The other six visits were to visit Russian scientists who were not allowed to travel to the West. - After the Soviet Union’s collapse, you have not been to Russia. Would you like to visit this country again, for example, with your daughter Mrs. Lucy Hawking who studied Russian at Oxford University? - I enjoyed my previous visits to Russia and I would like to visit again. - Russia will celebrate the 55th anniversary of the first manned flight into space - the Cosmonautics Day or International Day of Human Space Flight. What were your feelings at that moment on April 12, 1961? - I was impressed that Russia was ahead of America in the space race. - It has been over 25 years since the Russian Federation took up the torch as a space power. Could you assess its current potential for space exploration? 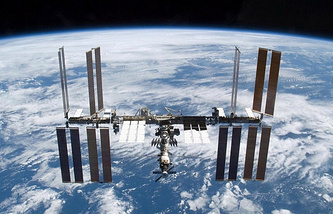 - The Americans rely on Russia for travel to and from the International Space Station. I think the future is in such international cooperation. - You backed an ambitious project The Breakthrough Initiatives last year. It is funded by the Russian businessman Yuri Milner and aims to search for extraterrestrial life. Almost immediately some sceptics described it as “a waste of money”. What is the likelihood that the project will be successful? - I am a supporter of the Breakthrough Initiatives, founded by Yuri Milner, to search for extraterrestrial life. By analyzing data from radio telescopes and laser transmissions, they hope to find signs of intelligence, that Earth is not the only source of life in the universe. Such a discovery would revolutionize our view of the Cosmos. - Progress does not stand still. Roscosmos and NASA are working on a manned flight to Mars project. What is your opinion about its practical importance considering that Mars is not suitable for human life? - NASA, and other space agencies around the world, are focused on Mars. It is our closest earth-like planet, with soil and an atmosphere. Although colonizing the Moon would be simpler, it is only 3 days away, Mars represents a more interesting challenge, and would require the colony to be truly self-sufficient. Within 100 years, I have no doubt, there will be humans living on Mars. To do this we need investment, allowing us to advance our knowledge, on how to survive the dangers of cosmic radiation, body deterioration, and how to deal with the lack of vital supplies beyond Earth. - The fourth industrial revolution or Industry 4.0 was even one of the theme of the World Economic Forum in Davos. Theoretically, it involves the development of robots and the abolition of human labour. If robots replace us in the nearest future, what will we have to do in that case? -If machines produce everything we need, the outcome will depend on how things are distributed. Everyone can enjoy a life of luxurious leisure if the machine-produced wealth is shared, or most people can end up miserably poor if the machine-owners successfully lobby against wealth redistribution. So far, the trend seems to be toward the second option, with technology driving ever-increasing inequality. - You are a famous scientist as well as a successful science popularizer. Which of these scientific activities do you like best? - I am a scientist first. I am very proud that I have been able to contribute to our understanding of the universe. I am also glad that my work has reached a popular audience, because I believe it is important that the public should know, and have the chance to understand, the seemingly mysterious work of scientists. - Tell us about your day-to-day routine​. - Due to my condition, I have a lengthy getting up routine in the mornings, and so I usually arrive into work late morning. My work day is broadly split into scientific research and public outreach. - How do you prefer to relax? - In the evenings, I like to relax by entertaining, listening to music, or watching films and current affairs on the television. Despite this I am often restless at night and sleep poorly. - Professor Hawking, what is your dream? - I have always dreamed of space flight. But for so many years, I thought it was just that, a dream. Confined to Earth, and in a wheelchair, how could I experience the majesty of space, except through imagination, and my work in theoretical physics. I never thought I would have the opportunity, to see our beautiful planet from space, or gaze outward into the infinity beyond. This was the domain of astronauts, the lucky few, who get to experience the wonder and thrill of space flight. But I may have the chance to go into space with Virgin Galactic.